An ancient neighborhood (it was the location of Rome’s urban port), Testaccio has a lot of heart, few tourists… and, since it’s not quite as cobblestoned-street-picturesque as other, more central neighborhoods in Rome, it’s a great place to wander on a rainy day, when you won’t worry about not getting those perfect, sunny photographs. If you’re taking the bus, get off at the first stop on Via Marmorata. 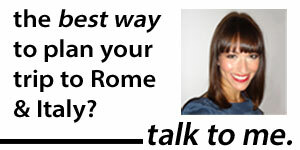 This puts you conveniently in front of one of my favorite Rome cafes: Cafe Barberini. This cozy spot is a local institution, well-known for its friendly servers and great coffee. And, unlike most other Rome cafes, Barberini makes its own pastries fresh. Fortify yourself for the rainy day with some cornetti (the Italian answer to croissants) fresh from the oven. 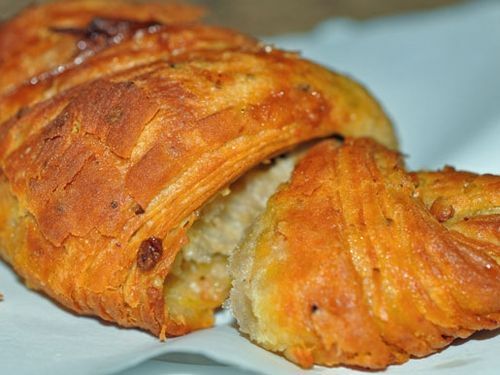 (Check out my Serious Sweets piece for more of the best cornetti in Rome!). 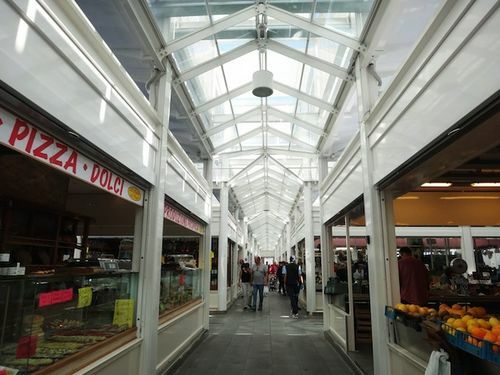 Testaccio’s new, modern market replaced the old, covered one last year, something that’s caused a lot of controversy — in no small part because the vendors now have to pay much higher rents. Weigh in on the debate yourself by exploring the market. It’s covered in glass, so on a rainy day, you’ll feel dry… but not claustrophobic. 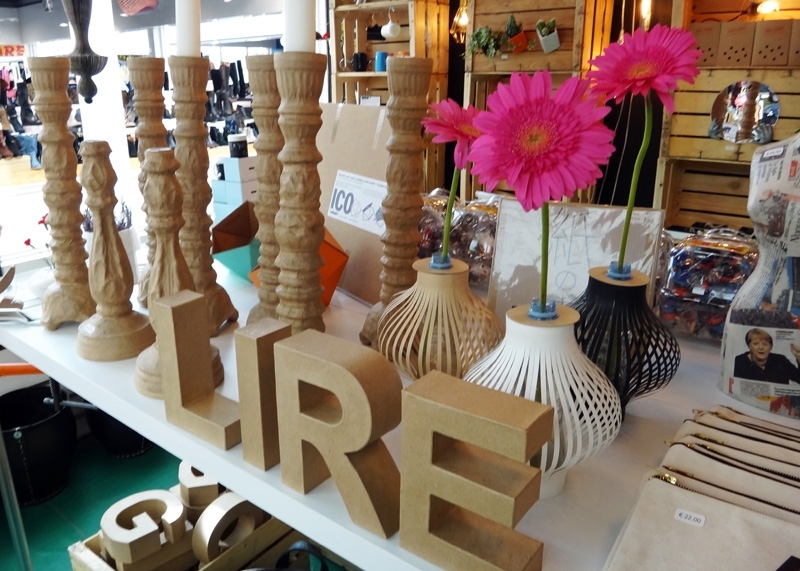 As well as watching all the local nonnas go about their morning food shopping, don’t miss 20MQ, a tiny, quirky decor shop, or Elle Effe, a beautifully-edited boutique of high-end women’s clothes. (More about the market, and Testaccio, in my piece for Travel + Leisure). Right around the corner from the market is the MACRO Testaccio. One of Rome’s coolest spots, it’s a contemporary art museum… in a 19th-century slaughterhouse. (Testaccio used to be the center for, well, butchery in Rome, which is why the cucina povera tradition, including eating offal, remains so popular in the neighborhood). Oh, and it’s (mostly) indoors. Wander around to explore a side of Italy’s art scene you don’t get at the Vatican, and make sure to look up: Those are meat hooks above you. 12:30pm. Lunch at Da Bucatino. I don’t know about you, but on a rainy day, I crave a good old amatriciana—Rome’s classic pasta, made with tomato, red wine, guanciale, and usually served with slurp-it-up bucatini. One of my favorite spots for it is Da Bucatino, where the pasta’s so dangerously saucy, they’ll often give you a bib to go with your order. 2pm. Metro it to Palazzo Massimo, Rome’s best museum of ancient art. Just one of the masterpieces at Palazzo Massimo: The Boxer, from 330 B.C. 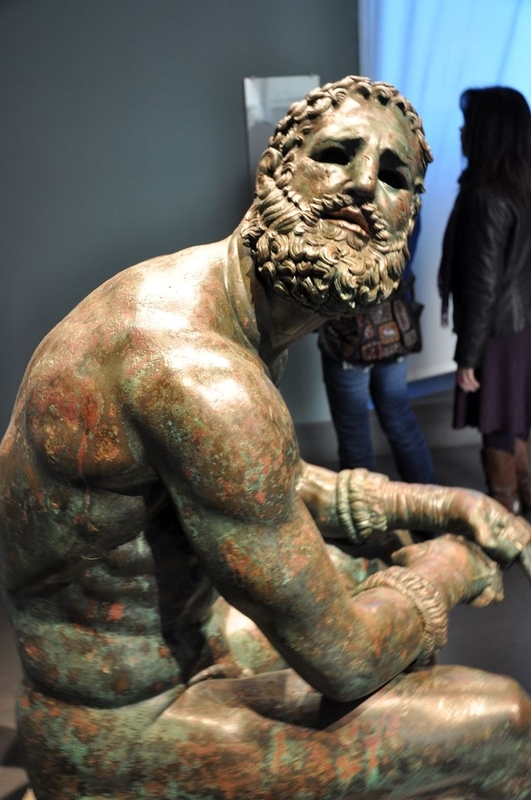 Balance off the morning’s contemporary art with Rome’s ancient side at Palazzo Massimo, Rome’s most underrated museum. Come here to see gorgeous mosaics, sculptures, coins — and, my favorite, ancient frescoes that have been detached from opulent Roman villas… and then set up to recreate what the rooms would have looked like. Not only is this the ideal rainy-day museum, since you can get lost here for a couple of hours, but it’s also really convenient. Just get off at the Termini metro stop and it’s right around the corner from the station (literally a 2-minute walk). No ponchos needed. 4:30pm. Pop into an ancient-bath-turned-basilica by Michelangelo. 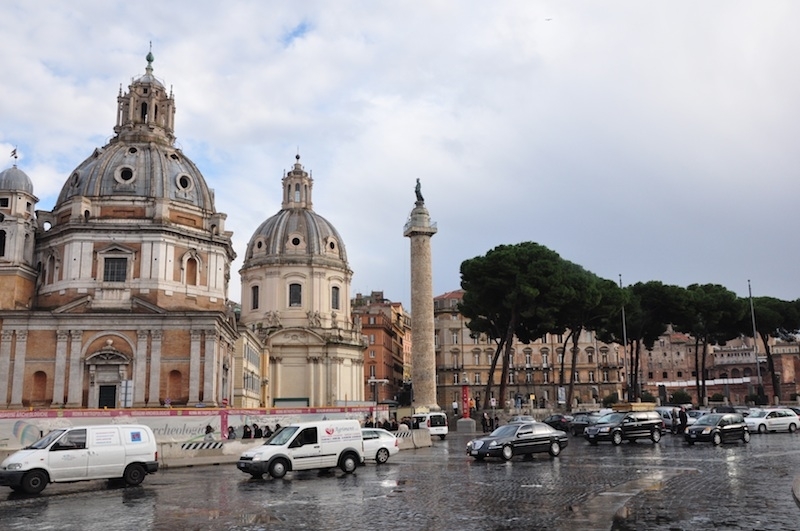 The mammouth church on Piazza della Repubblica, a 3-minute walk from Palazzo Massimo, looks like an ancient Roman complex. 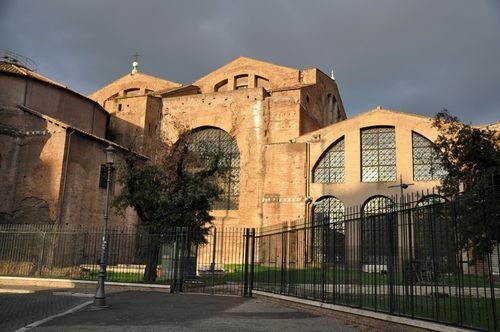 That’s because it is: The Basilica di Santa Maria degli Angeli used to be the enormous frigidarium of the 3rd-century Baths of Diocletian. In the 16th century, the pope ordered that the massive space, measuring 420 by 344 feet, be turned into a basilica. The architect behind the task? None other than Michelangelo. Today, the basilica is a fascinating example of Renaissance ingenuity (not to mention recycling). Make sure you also check out the massive meridian line that runs across the floor, completed in 1702 to let the pope make sure the Gregorian reformation of the calendar was accurate. 5:30pm. Explore the Terme di Diocleziano museum. Another extention of the Museo Nazionale Romano, this is the museum next to the church, also built into Diocletian’s baths (and entrance is included in your Palazzo Massimo ticket). Wander through ancient statues, reliefs, and sarcophagi, and don’t rush: The museum doesn’t close until 7:45pm. From Repubblica, it’s a 10-minute walk to the heart of Monti, a lively neighborhood with lots of great wine bars. 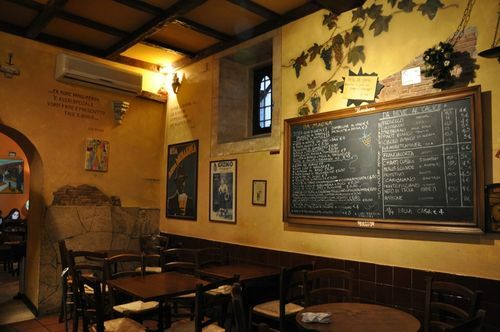 Unlike the Testaccio or Repubblica areas, this area is so picturesque you probably will want to come back in better weather — but since you’re nearby anyway, why not stop for a glass of wine? 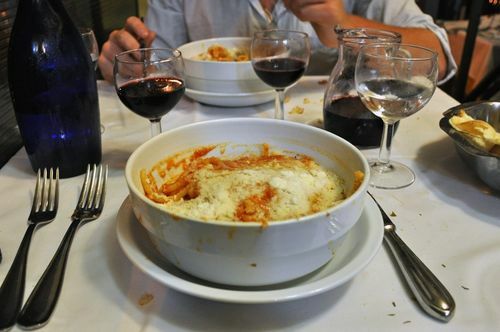 I like Ai Tre Scalini (Via Panisperna 251 — no, not the one at Piazza Navona! ), a Roman institution with a great wine list and lots of small plates; Barrique (Via del Boschetto 41), with a great wine list, and better, more contemporary cuisine than Tre Scalini; and Al Vino al Vino (Via dei Serpenti 19), an enoteca with snacks, meats and cheeses. 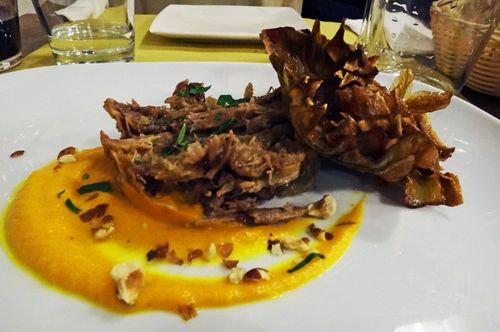 Stay at Tre Scalini or Barrique to have a full meal, or mix it up and head to Trattoria Monti, a modern spot serving up Le Marche cuisine (Via di San Vito 13), or L’Asino d’Oro, a great little restaurant with Umbrian food (Via del Boschetto 73) — two cuisines perfect for chilly, rainy weather. Why does jazz seem so perfect for a rainy night? 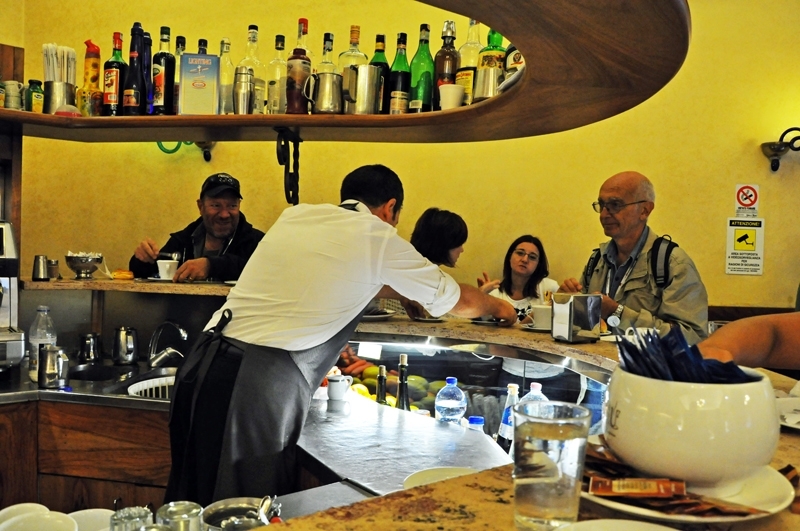 Luckily, there’s a cozy live-jazz bar right in the heart of Monti, Charity Cafe. This hole-in-the-wall spot, which looks like something straight from New York’s East Village, has nightly live blues and jazz performances at 10pm. And if you’re feeling really lazy (and damp), it’s actually right across from Ai Tre Scalini, so the location couldn’t be better. Thank you so much very helpful will message again once weve been out and about.